ZTE finally launched the V5 in India, it is an android smartphone with 5-inch display with Dragon trail Glass as a scratch resistant. 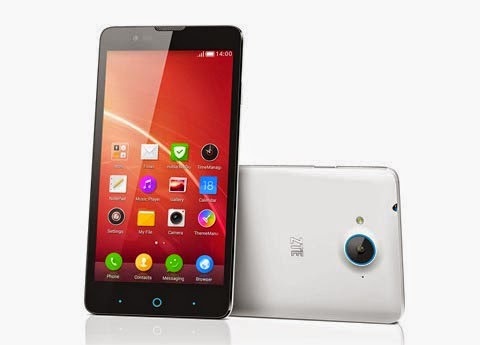 The ZTE V5 is powered by a Qualcomm Snapdragon 400 quad-core chip clocked at 1.2GHz with Adreno 305 GPU and 1 GB of RAM. It has a 4GB internal storage that can boost up to 32GB via microSD card. This Dual Sim/dual standby smartphone is equipped with 13 megapixel rear camera w/ LED flash and a 88-degree wide angle 5 megapixel BSI front camera with. Runs on Android 4.4 KITKAT, the V5 has a 3G HSPA+, Wifi, GPS, A-GPS and Bluetooth connectivity. Aside from the specs above, the ZTE V5 carried 2,400mAh battery module.